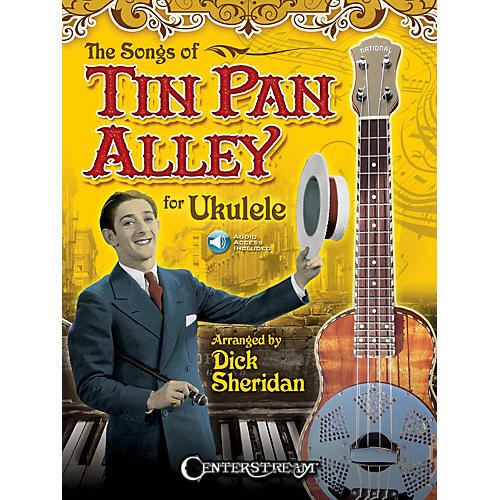 35 timeless standards from the early 20th century arranged for the ukulele with online access to audio tracks for each song for download or streaming. Enjoy the wonderful melodies from a bygone era, sample the vivid imagery of cleverly crafted lyrics, and experience the beautiful harmonies of chord progressions that continue to remain fresh and stirring. Songs include: Alice Blue Gown · Caroling in the Morning · Chicago · Indiana · Margie · Moonlight Bay · Peg O' My Heart · Second Hand Rose · Shine on Harvest Moon · Sister Kate · and many more. Also includes photos and an extensive introduction.